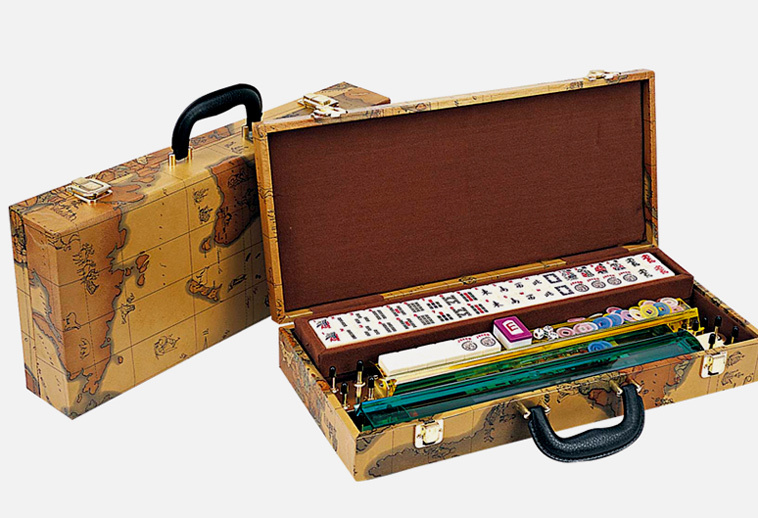 This beautiful and distinctive looking Mah Jong set has an antique looking map of the Old World on its vinyl attaché case. The inside is covered in rich burgundy felt, and the outside has brass hardware and a sturdy carrying handle. This eye-catching set comes complete with 166 Polystone resin Tiles, four transparent colored racks with money holders, tile trays, chips, dice, bettor and instruction booklet. The dimensions of this set are: 21.5 x 9 x 3.5 inches.